Punch 9 circles. (mine is a 2″ circle) I edged each circle with Butterscotch Ink. 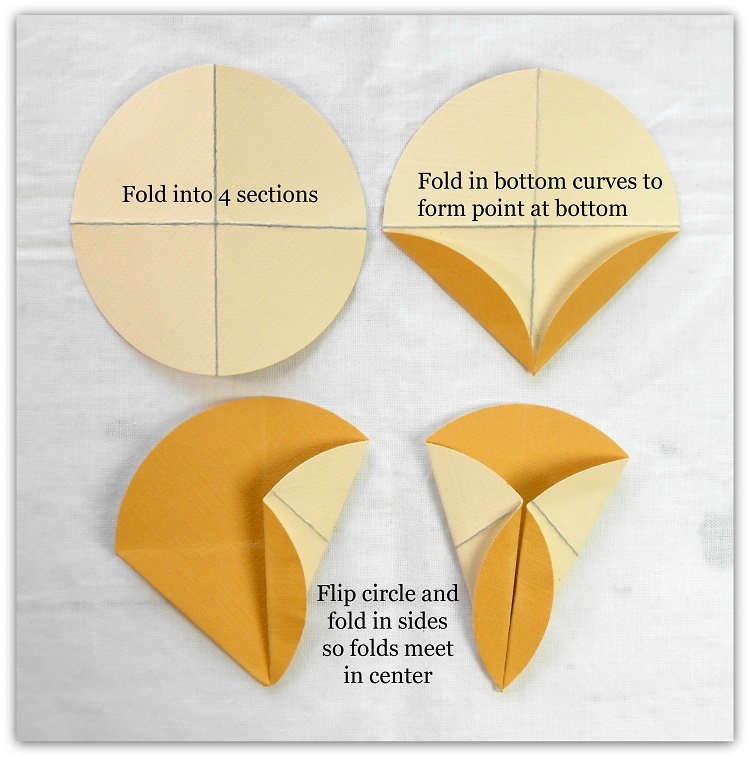 Flip Circle and fold in sides so folds meet in center. 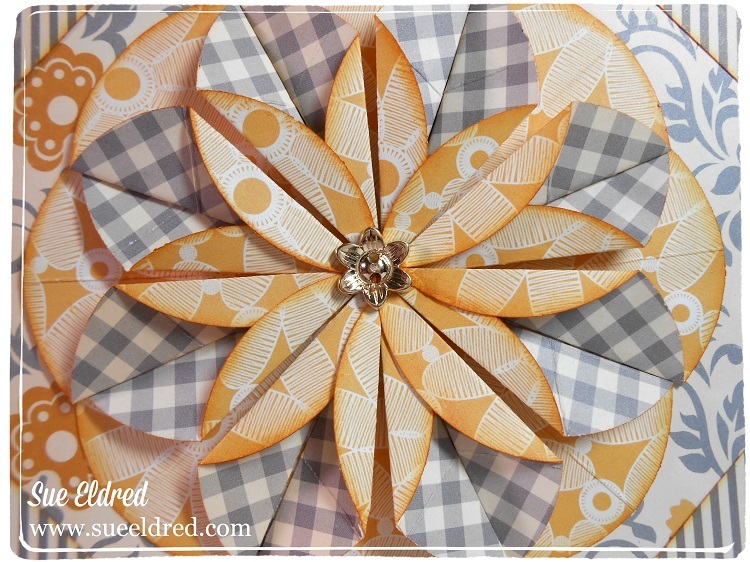 Arrange petals on remaining circle to make a total of eight petals. You make it look so easy. Good job. I am loving this card! It’s beautiful Sue! It’s so pretty I thought it was going to be difficult! Thanks for the easy tutorial! Wow! It’s beautiful and you make it look like even I could create one:) Thanks! What a gorgeous card. I am so going to have to try this sometime! wow the card is just stunning! Thank you for sharing how you did it! 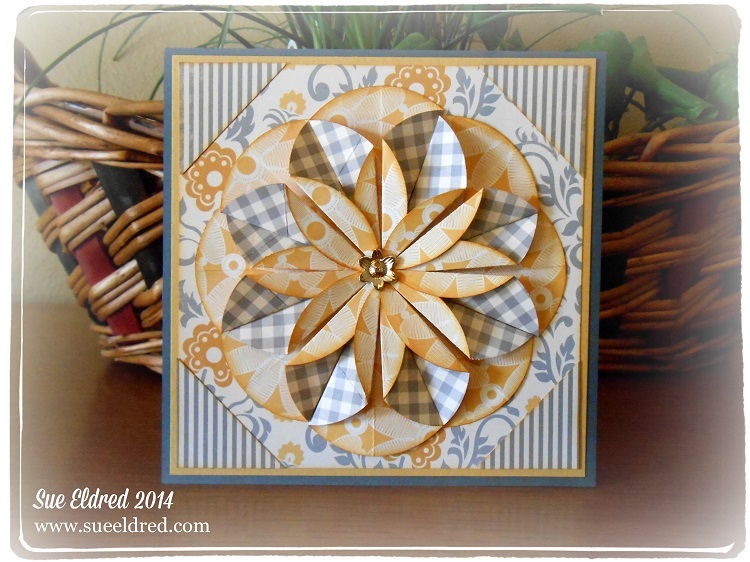 I love this card and I’m going to try making it. Thanks for showing how it’s done! Beautiful thanks for sharing the instructions.